EyEnvy has arrived at Envision Medical Spa! This amazing, Canadian-made product, uses natural vitamins, minerals and bio-peptides to lengthen, strengthen and thicken eyelashes and eyebrows. The company says they were initially interested in developing their eyelash follicle conditioner to help men and women who have faced eyelash and eyebrow thinning due to stress, illness or genetics. 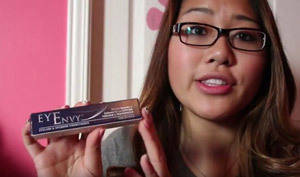 Introduced in 2009, EyEnvy has now become the most popular eyelash condition in Canada. Applying the conditioner is super simple. In the morning, after thoroughly removing all traces of makeup and other contaminants from the eye area with a mild cleanser, a single stroke of the applicator along the base of each set of eyelashes is all that is required. Let it absorb for a couple of minutes and you're done! Within about three months you will see regrowth and new growth that noticeably enhances the volume of your lashes. 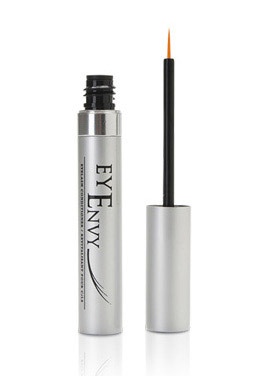 Once you are satisfied with your eyelashes, you can maintain the fullness with eyEnvy morning treatments every second day.